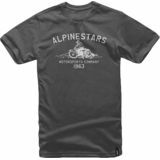 Alpinestars' roots in motocross and motorcycling span six decades. 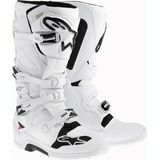 Founded in 1963 by Sante Mazzarolo in Asolo, Italy, Alpinestars first made hiking and ski boots but a short two years later the company introduced its first motorcycle boot - it included an innovative steel shin protector and a buckle closure system rather than laces. A decade later, Alpinestars marketed protective boots featuring toe sliders and enhanced levels of protection for the motorcycle road racing circuit giving the company a loyal following. In the 1990s, Alpinestars rolled out additional protective gear including gloves, jackets and full leather suits. In 2011, Alpinestars unveiled perhaps the most innovative line of protection ever seen by the motorcycle world. Popular Science magazine gave the company a "Best of What's New" award for the Tech Air Race Suit. Available to the public, the Tech Air Race Suit is a state-of-the-art fully functional airbag system. The technology Alpinestars created monitors the rider's movements and determines when a crash is imminent and deploys airbags along the shoulders and collarbone in milliseconds. No, we don't sell the Tech Air Race Suit (it costs as much as if not more than a motorcycle) but we do sell more than 300 different styles and versions of protective gear and casual wear. MotoSport's line of Alpinestars motorcycle gear includes nearly 50 boots and accessories, and the popular Bionic line of jackets and vests. We also sell their stylish jackets, hoodies, pants and boardshorts. Plus, check out popular gifts like Alpinestars hardy backpacks and key chains, and an iPhone 4 case for the Alpinestars fan in your life. MotoSport is the best place to find Alpinestars protective gear, accessories and the casual look. Use the size charts to help you take the guess work out of selecting your product. If a product doesn't fit, our hassle free 90-day return policy means we make it easy for you to get the right one.